There are many challenges that women face every single day in their lives. Some of which are expectations from other people. No matter what you do or how much you try to change things, there will always be persons who would expect you to do things differently. Whenever you find yourself in a situation where things have been difficult or painful, do not worry because God’s Word reassures us that it is only temporary. With Him, you will soon get through it and get back on your feet. Reading the Bible is necessary not just for the bad times, but in the good times too! 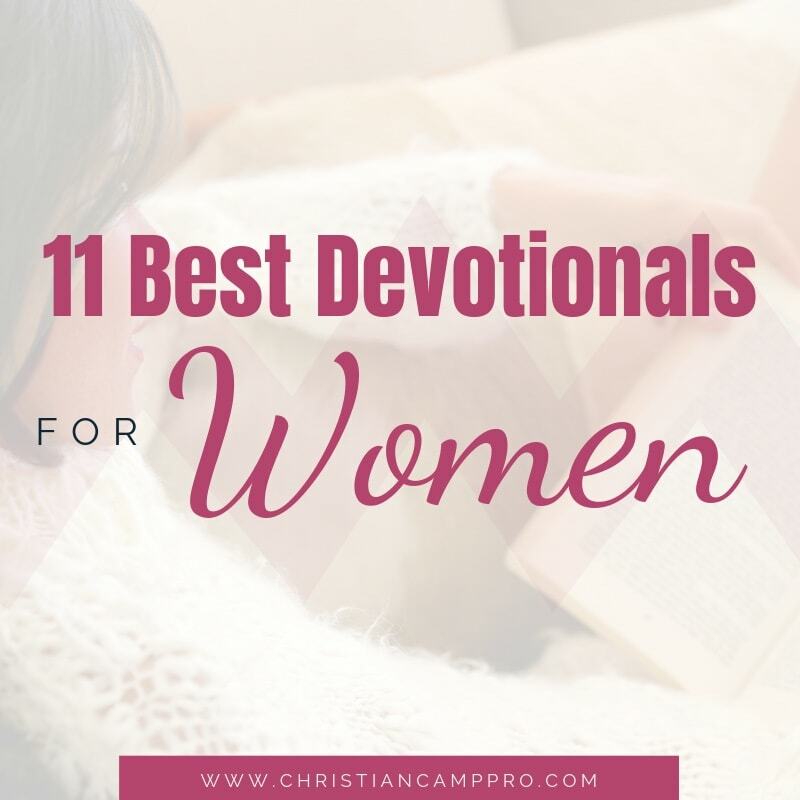 If you’re looking for the perfect Bible companion, we’ve put together a list of the 11 best devotionals for women. If there is one thing that you must need to know is the fact that God hears you all the time. He is watching every step you take so don’t be afraid. Face your fears and know that God is always with you. To make the process easier, be sure to grab a copy of this devotional. There are many personal stories that will help serve as encouragement and reassurance in your life. At the same time, you can also read scriptures that will remind you of all God’s goodness in this world. Joyce Meyer produced another powerful devotional called Trusting God Day by Day. This still is one of the highest rated and best devotionals for women. It features life-changing promises taken directly from the Bible. You can apply these messages in your daily life and use it as a guide to make better decisions. Making this a part of your daily reading time will help you always see the light. Stop worrying about what the future brings because God will fulfill his promise of a happy and satisfying life. 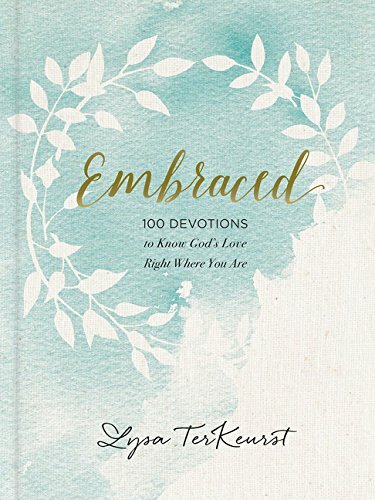 This devotional book by Lysa TerKeurst is an excellent devotional for women. The book is physically beautiful with feminine allure and the messages inside are powerful. Women from all walks of life will find the encouragement and the guidance they need to deal with the various ways they struggle through life. It covers topics from joy, self-doubt, pain, insecurity and more for all the difficult season’s women may face in life. The devotions aren’t dated and there is a topic index that can help you find a daily devotion that will be specific to your current struggle. Another plus for the devotions not being dated is that these can be read over and over throughout the year and for years to come. Are you at a place in your life where you want to hear from God? You want to hear his directions loud and clear as to what to do and where to go in your life? 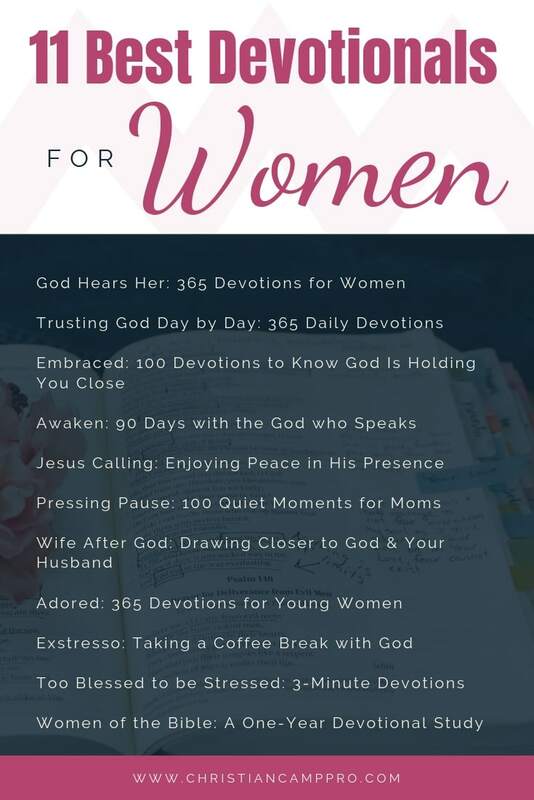 Look no further than the Awaken: 90 Days with the God Who Speaks, which is a fun women’s devotional for ladies who are looking for just those things. 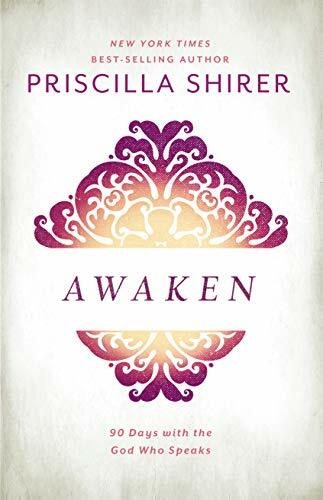 In this devotional, you will find insights from the author Priscilla Shirer, which you didn’t find when reading the scripture on your own. The book is designed to provide you with more clarity on matters that confuse you and keep you feeling discouraged and down pressed. 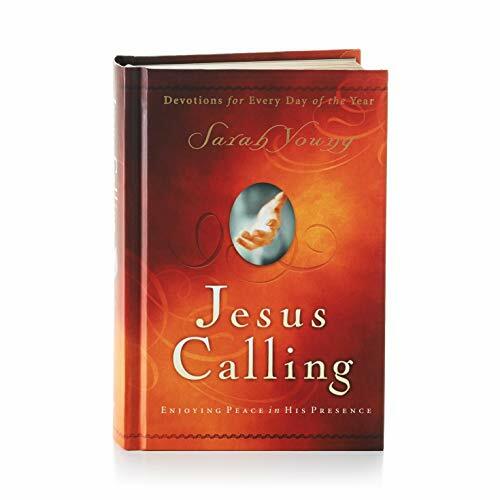 This devotional is brought to you by author Sarah Young. 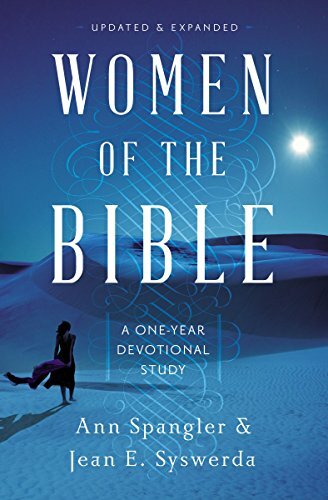 With over 17000 amazon reviews at the date of writing, this devotional is a definite favorite and a contender for the title of best devotional for a woman. 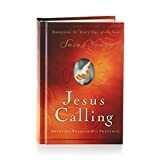 This devotional will guide you into the calling that Jesus has for your life. It will lead you into God’s will for your life and help you to see how He is guiding and holding you with His right hand. Each daily reading will provide you with encouragement, teaching and the admonition to live a life that is pleasing to your maker. This devotional for wives will provide your soul with food every day. Its subject index shows you topics that you can choose to look up scripture and devotionals that will address whatever your current struggle is. And just like that you will have Jesus there personally addressing your problem, feeding your soul. 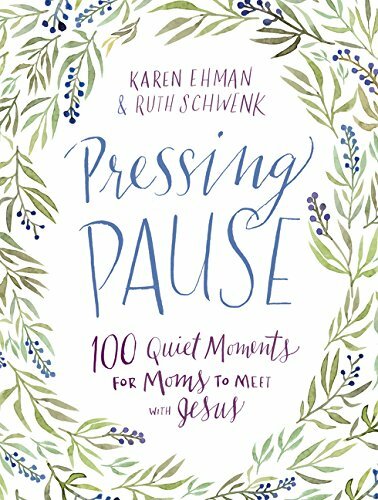 This is the perfect devotional for moms with a busy schedule and tiny humans vying for the majority of their time. 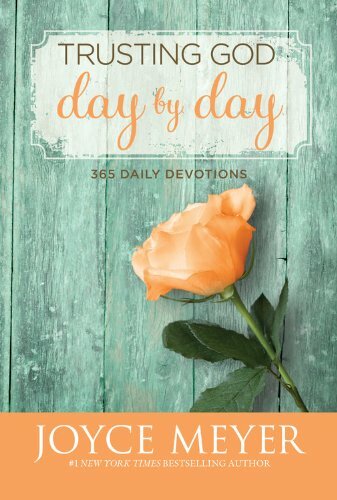 No matter how many kids you have at home and how long your to-do list is for the day you can be confident that this devotional can add encouragement and assurance to your day. An important attribute of devotional books for moms is for them to provide concise devotionals that are powerful. You will find just that with this devotional. With 100 moments for you to take time off of your day and rest and reflect on and in Jesus, you will be happy you made this purchase. It is a great personal purchase as well as it could be a great gift item for that special mom in your life. If you are struggling in your marriage, or have hit a slight rough spot, a moment of silence, are seeing your partner withdrawing here is the best devotional for a wife facing such situations. 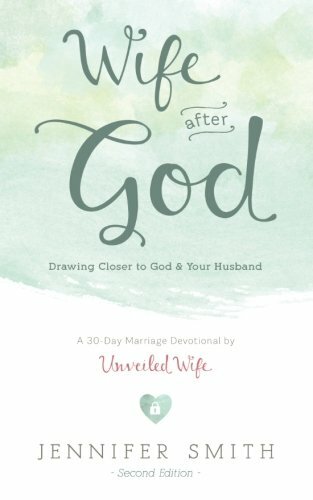 The Wife After God: Drawing Closer to God & Your Husband devotional includes prayers that you speak over your husband. This is a great devotional for wives whether you are new to the Christian faith or you have been a believer all your life. Each devotional can be read consecutively or you can jump to matters that need to be addressed in your relationship now so you can start off where you need help the most. This devotional could be a great gift item for newlyweds or for those newly engaged. It can be gifted to friends, siblings, and other family members who are about to take the step, who have just taken the step or who have been married for a while. 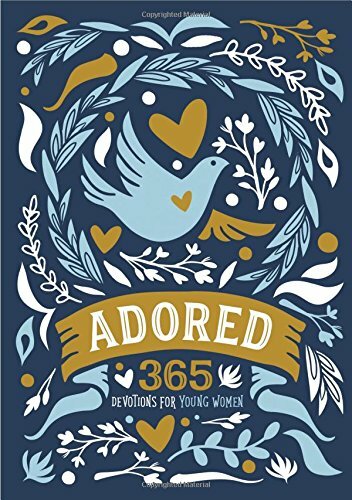 This amazing devotional for young women is ideal for women in their 20’s and can even be used by women in their teen’s thanks to the topics covered within. This devotional addresses topics such as self-worth, dating, social media, bullying and patience among others. The book is beautifully designed on the outside and the inside. Each devotional is numbered and not dated so one can read the devotionals in whatever order they may like. Each devotional features a Bible verse, a devotional passage and some lines for journaling so the reader can make notes on inspiration and insights they receive from the reading. 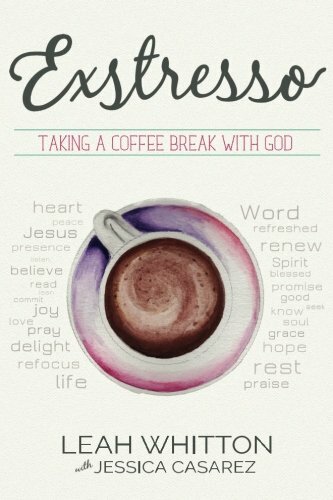 Exstresso: Taking a Coffee Break with God is a great women’s morning devotional. It is ideal for the woman who is always on the go but wants to spend some time with God in the mornings. The daily devotions are shorter than your average devotional while still being thought provoking causing you to really think and reflect on the devotional so you can apply it to your life. The content provided by both authors includes personal stories of triumphs as well as tragedies they have encountered in their lives. This provides a really honest and real devotional book that is written by people who have been in your shoes. 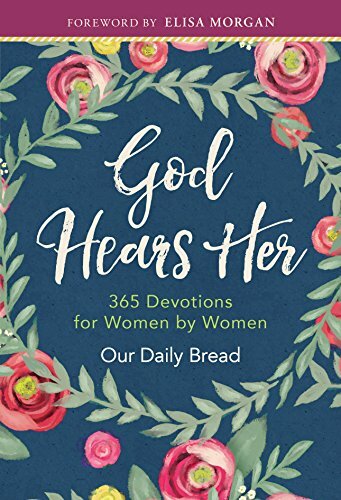 This is one of the best devotionals for women if you are looking for a gift item for a God-fearing friend or family member who loves coffee so that the title will have even more meaning for them. This devotional contains 180 readings that talk about inspiration, motivation, encouragement, humor, and faith. All you need to do is to devote three minutes of your day to read scripture for meditation, short devotional line and a prayer to connect with God. The devotions are only short, which make it the perfect item for every busy woman like you. Get in touch with God by taking hold of this devotional. 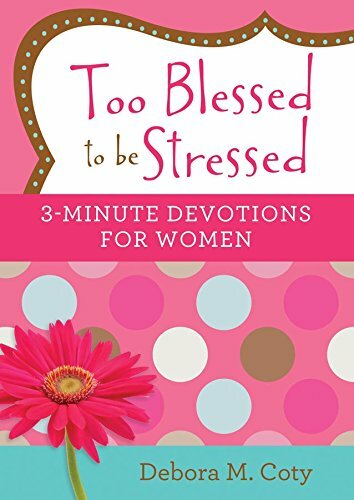 This is one of the best devotionals for women who are very busy and a great compliment to the busy mom’s Bible. What makes this woman’s devotional unique from the others is that it talks about fifty-two (52) different women in the Bible. The authors present relatable life stories and struggles of these 52 women. Reading this devotional will remind you of the significance of having faith and courage. Be inspired by how these women faced the challenges in their lives and how they survived it all. Aside from the stories, it also contains the timeline of the women in the Bible and a list of important women in Jesus’ life. The secret to a spiritually full life is to learn how to slow things down and focus on God’s unfailing love. Find the perfect devotional for you and set aside time every day to read its contents. Remember that you deserve to find peace and happiness. Special thanks to WOL Camps for making this post possible.